Antarctica has historically been one of the least mapped area of earth. The reason is obvious. It is the harshest, coldest and windiest continent on the planet, and the least visited. However, scientists at the Ohio State University and the University of Montana have now undertaken the most detailed mapping ever of the icy continent to create a high resolution terrain map. Their project is called The Reference Elevation Model of Antarctica (REMA). The REMA project started with pictures taken from a constellation of polar-orbiting satellites that passed over areas of Antarctica tens of times to take photos. The scientists then created software to iron out the anomalies in the results. The final file size is a stonking 150 terabytes. The map has a resolution of 2 to 8 meters. This compares to 1,000 meters, which was typical for previous maps of the continent. The information will have many uses from determining ice loss and the motion of ice to monitoring volcanoes, the thinning of glaciers and river discharge. It will also help scientific expeditions with navigation in the inhospitable terrain. The resolution of the imagery is so high that even variations in the type of snow cover can be discerned. If you are interested in playing around with the data, the link to the website can be found here. The website also sets out the purpose and methodology behind the project. 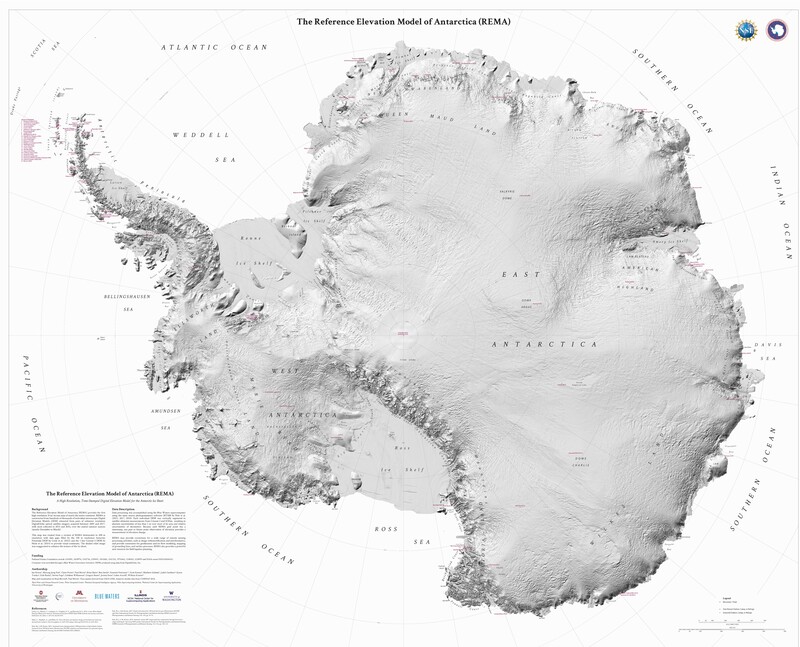 Antarctica by satellite – Imagery (c) 2018 DigitalGlobe, Inc.